Home >> Dog Training >> Find a Trainer >> VSPDT >> What Is VSPDT? Victoria Stilwell Positively Dog Training (VSPDT) is the world’s first global network of professional dog trainers dedicated to providing the public with a humane, positive reinforcement-based option in dog training under the most trusted name brand in reward-based dog training. VSPDT's mission is to create a global network of professional dog trainers whose goal is to help shape the future of dog training by promoting positive reinforcement methodologies. 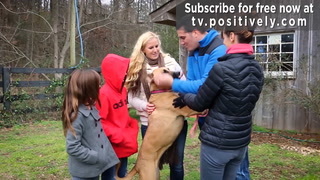 With a commitment to providing the highest quality humane, reward-based professional dog training practices, VSPDT helps the public to better understand how the domestic dog’s mind works, to communicate more effectively with our canine companions using positive reinforcement, to foster healthier relationships with between dog and owner and to encourage responsible dog ownership. Find Your VSPDT Trainer Here! Launched in 2010 and with trainers located around the world, VSPDT is always continuing its worldwide search to find the best and brightest positive reinforcement dog trainers practicing today. 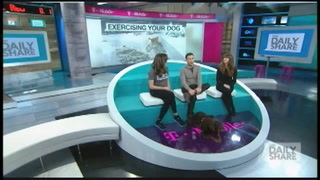 Before obtaining approval to join the network, all applicants must successfully complete a rigorous and comprehensive application process which will include a written exam, extensive background checks, client and professional references, verification that the applicant is a currently practicing dog trainer and an in-person training evaluation and interview process with Victoria Stilwell and her team. This exacting process guarantees that all members of the network are of the highest professional, humane and ethical caliber, while comprehensive ongoing evaluations of each member’s business practices and work within their community ensures that each VSPDT trainer maintains the excellent level of quality and service with which the Victoria Stilwell Positively brand are synonymous. VSPDT is not a training school and does not teach people to become dog trainers. While Victoria and her team will be launching the Victoria Stilwell Academy for Dog Training & Behavior soon, Positively currently does not provide a curriculum for aspiring dog trainers. 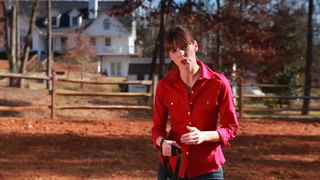 Information about how to apply to become a Victoria Stilwell Positively Dog Trainer can be found on the network’s website at www.vspdt.com. With overwhelming support from the undisputed leaders in the field of animal behavioral science and the largest veterinary organizations in the world, VSPDT is now the pre-eminent brand promoting humane, science-based, force-free dog training methods throughout the world. 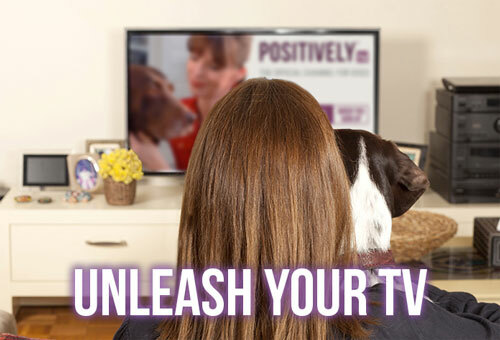 Victoria Stilwell Positively Dog Training… the Future of Dog Training.